Going all-grain trades the convenience of extract brewing for the flexibility of mashing your own grains. Homebrewing is a growing hobby. New homebrewers discover the thrill of brewing their own beer everyday. Most start by brewing malt-extract-based beers on their stovetop. At some point, however, most extract brewers consider switching to all-grain brewing. In extract brewing, your wort is made by adding water to malt extract to reconstitute the wort made at the malt extract plant. 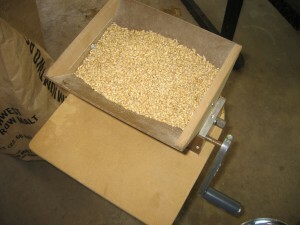 In all-grain brewing, you make your wort by mashing malted grains and collecting the wort from them. This can be a big step, but is it the right one for you? Here is a series of questions to help extract brewers decide if switching to all-grain brewing is the right move. Before we get to the relevant questions, there are two things that don’t really enter into the equation — beer quality and complexity of the process. It used to be “common knowledge” that beer made with all-grain methods was better than extract beer. I even have an old homebrew book that claims that, if you want to win at homebrew contests, you need to brew using all-grain methods. This simply isn’t true. You can brew quality beer (and beer that is competitive at homebrew contests) using malt extract. If you have access to fresh ingredients and use modern methods of stovetop extract brewing, your biggest influence on the quality of your homebrew will be your pitching rate and how steady you held your fermentation temperature. The way you produce your wort will not hold you back. There are limitations to extract brewing, which I’ll discuss later, but brewing quality beer is not one of them. The second thing not to worry about when making your decision is the complexity of all-grain brewing. Many brewing books give overly complex introductions to all-grain brewing, frequently starting with discussions of the actions of various enzymes in the mash. However, the basic idea of behind mashing is soaking the crushed grains in hot water, draining away the resulting “tea” and rinsing the grain bed to get the most from your grains. There are more advanced things to learn in all-grain brewing, things that will help you tweak the characteristics of your beer, but you can start out brewing very good all-grain beers simply by following some simple directions on how to soak grains in hot water. Don’t let any ideas that all-grain brewing is exceedingly complex, or requires a good working knowledge of how enzymes work, deter you from trying all-grain brewing. Can You Brew the Beers You Desire? Mashing crushed grains is not hard — your just soaking the grain in hot water. When you started brewing, you likely had some idea of the types of beers you wanted to brew. If extract brewing is preventing you from brewing the beers you really want, you should switch to all-grain brewing. If the types of beers you like best can be made well using extract techniques, your question then becomes would you like to gain some added flexibility at the cost of some time and convenience? Do You Have Space (and Can You Bring the Heat)? The next question to ask yourself is if you have the space. Basically, this boils down to if you live in a house or an apartment. If you live in a house, you can get a propane burner and brew in your garage or on your driveway. In an apartment, you need to have enough space in your kitchen, and additionally a stove that will let you perform a full-wort boil. The most common variations on all-grain brewing use a combination mash/lauter tun and a hot liquor tank. 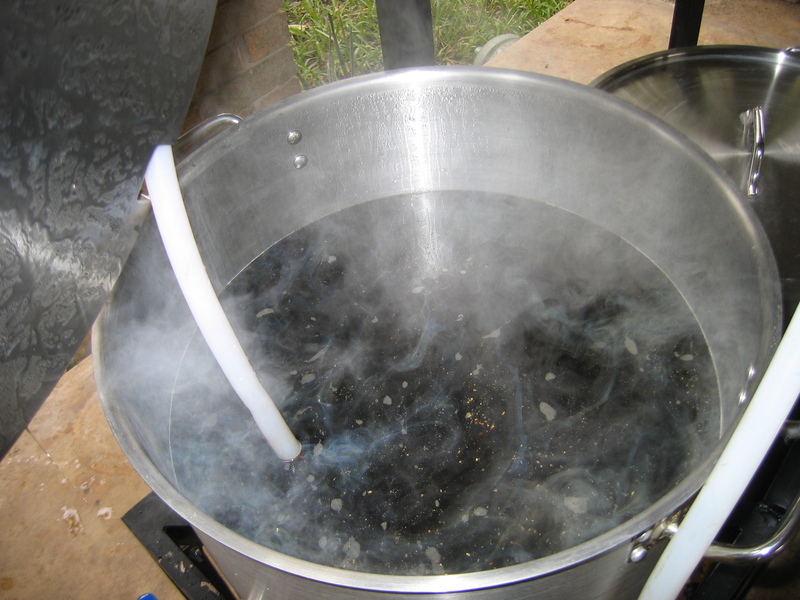 You need a heat source sufficient to boil a full wort vigorously. For 5.0-gallon (19-L) batches, you will need a mash/lauter tun of at least 10 gallons (38 L). Mist commonly, this is a modified picnic cooler or a pot with a false bottom. Your hot liquor tank may either be a large (10 gallon/38 L) pot or a bucket or beverage cooler. (If your HLT isn’t heatable, you’ll also need a fairly large pot — at least 5.0 gallons (19 L) — to heat your brewing liquor in.) Ideally, you’d like to able to drain your HLT into your mash tun by gravity and your mash/lauter tun into your kettle by gravity. However, in most kitchen setup, water and wort needs to be shuttled around in pots or pitchers. For example, if you mash/lauter tun is sitting on the counter, you’ll need to drain you wort from it into pots or pitchers on your floor, periodically emptying the contents into your kettle. If your kitchen space is limited, or your stovetop doesn’t have the power to boil at least 6 gallons (23 L), scaling down may be a viable option. See for example, our simple 3.0-gallon (11-L) all-grain setup. If you have the space to set up a homebrewery, your next question is if you have the time to dedicate to all-grain brewing. An extract brewday may last around 3 hours, start to finish —depending on whether you are steeping grains or doing a partial mash, how much heat your stovetop produces and other variables. An all-grain brewday can last 5 to 8 hours — depending on how long you mash, how you lauter and other variables — or even longer for beers with extended boils. A fancy brew rig is nice, but you can brew the same beer with a collection of pots, coolers and buckets. 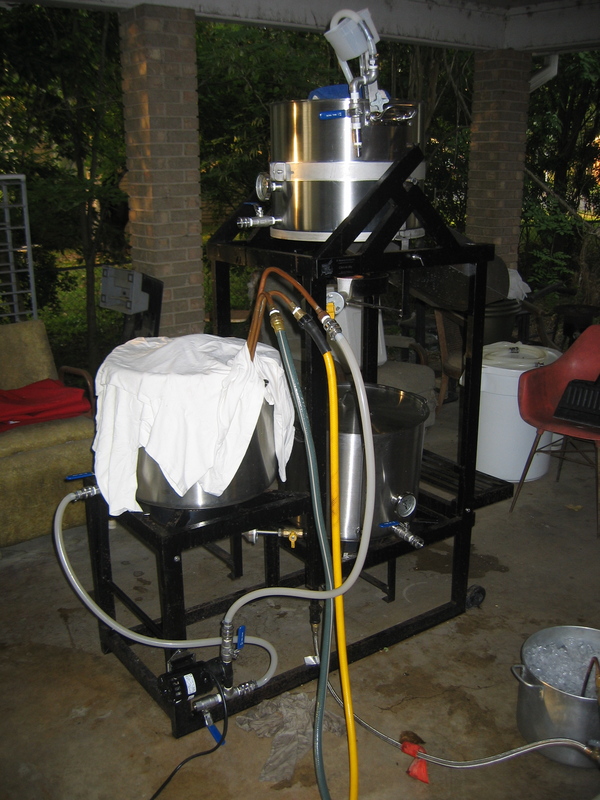 You need some extra pieces of equipment, beyond that required for brewing extract beer, to make beer using all-grain methods. 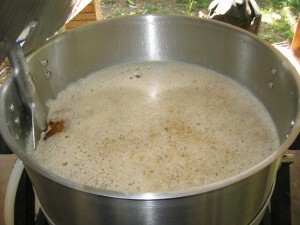 The most common setup involves a mash/lauter tun and a hot liquor tank in addition to the kettle and a propane burner. You’ll also need a wort chiller, if you don’t already have one. The one-time cost of acquiring the new equipment can be an obstacle for some brewers considering switching to all-grain. The good news is that you can start all-grain brewing with a mish mash of pots, coolers and buckets and upgrade your setup overtime. If you get an immersion wort chiller, you can convert a cooler to a mash/lauter tun, repurpose your bottling bucket as a HLT and use your old brewpot for heating water. Add a “turkey fryer” pot and propane burner — or simply a large pot if you live in an apartment — and you’re ready to go. Although the cost of new equipment is a negative, your per batch cost will go down as malted grains are cheaper than malt extract. There are plenty of beers that you can brew with malt extract, on your stovetop, in a few hours, and still turn out great. On the other hand, if you’re willing to spend a bit more time each brew day, you can gain the added flexibility of all-grain brewing. If you’ve never brewed all-grain, sitting in on an all-grain brew day is a good way to learn the ropes. At a minimum, going all-grain gives you the flexibility to brew using either all-grain or extract methods. I’ve never known anyone who made the switch and went back to brewing exclusively extract beers. I brew in an apartment and switched to all grain not long ago. I did get a bigger pot (in this case a 27L electric kettle), but the lack of space for other vessels made me try “Brew in a Bag”. I don’t really know if there are big differences regarding quality in the final product, since I never tried to brew the “traditional” way, but it seems to be a viable option. Out of curiosity I’ve been trying another of the Australian (I think) inventions: “no chill” brewing. I’m a bit more reluctant to do this by default, but I wanted to try it mostly because of the amount of water spent in cooling the wort and the difficult (for me) synchronization between my yeast starters and brew days. I already had a wort chiller, so I won’t save money with this anyway. I like this article, but I’m not sure why you’re saying you need to be able to do a full-wort boil. I’ve done a few all-grain batches where I boiled about 17 liters down to 14 liters, and then topped up to 20 liters in the fermenter. I like full boils better (less measuring and calculations) but partial boils work fine. If you’re only yielding 17 L of wort for a 20 L batch, you might be undersparging your grain bed (unless you are brewing low-gravity beers). Your beer quality won’t suffer, but you may be leaving usable sugars behind in your grain bed. In order to brew regular-strength beers or stronger, and sparge your grain bed completely, you would need to do a full wort boil. BIAB could be a good option to get into all-grain less expensively. The biggest drawback is that you end up with a smaller batch size. But an $8 bag to get into all-grain vs mash tun, wort chiller, and other gear could be an economical way to make the jump. I’ve made a few batches with BIAB, and the beer came out good. Probably the biggest drawback is giving up some control, since it’s hard to maintain mash temps for an hour in the kettle. Great article, Chris. The factors you bring up are ones not normally discussed, so it’s good food for though. BIAB is the cheapest way to get into all-grain brewing. The two biggest drawbacks I see are the wort doesn’t get clarified by recirculation (and hence you end up with lots of trub in your kettle) and you don’t achieve as high an extract efficiency (because the grain bed is not rinsed (sparged) to extract more of the sugars). So, your cost per batch is going to be a little bit more. Still, a person could switch to BIAB brewing, then later make the switch to batch sparging and then perhaps continuous sparging. The nice thing about having a “full” homebrew setup, capable of producing worts by continuous sparging, is it gives you options. You could still do a BIAB or batch sparged beer if you wanted to (and I’ve done some batch sparged beers; I don’t have the bag for BIAB), but get the benefits of continuous sparging for most of your beers.